Explore hidden beauty of our country on Excursion “The heart of Montenegro”, we carefully planed for you as Your travel agency in Montenegro. 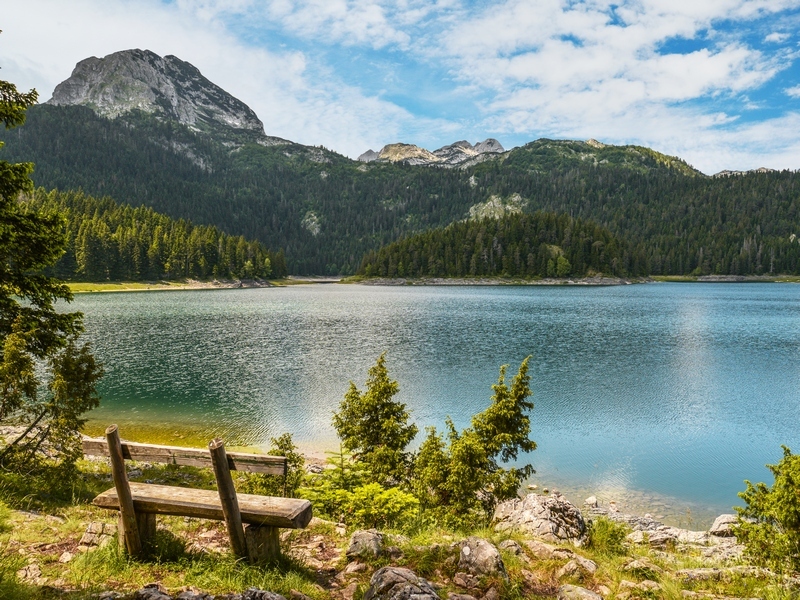 Experience the whole Montenegro in just one day! 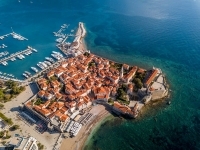 This tour offers you the possibility to get to know Montenegro and its four different geographical areas, from the blue sea to the high black mountains. The tour goes along the coast direction south-east to the central part of the country, above the Skadar lake. Further through the Zeta valley to the capital Podgorica. First coffee break will be few kilometers after Podgorica. 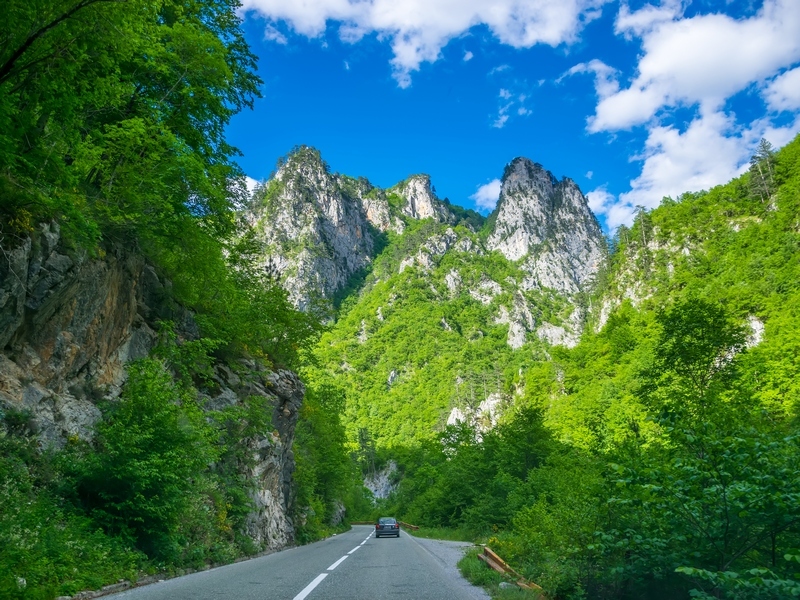 The curvy road leads us through the stunning Moraca canyon. 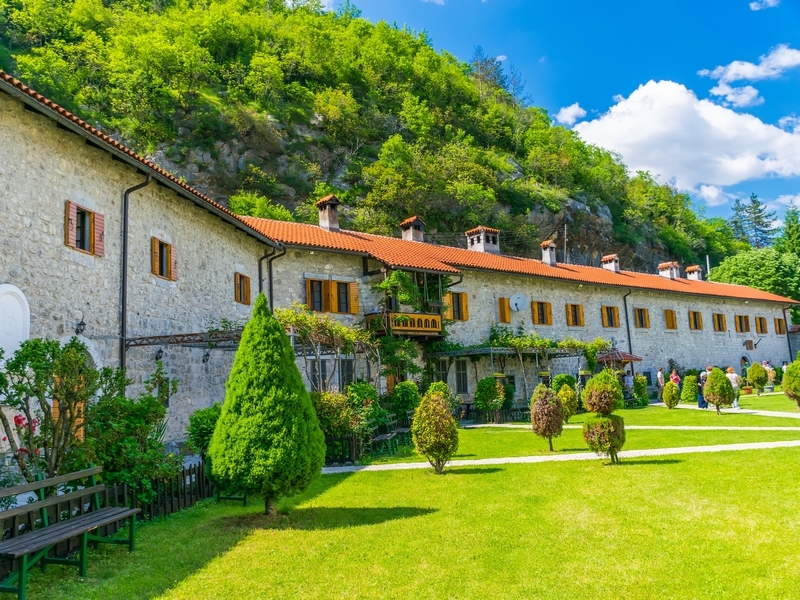 Our next stop is deep in the canyon, by the Monastery of Moraca (13th century) which features many invaluable and famous frescoes. 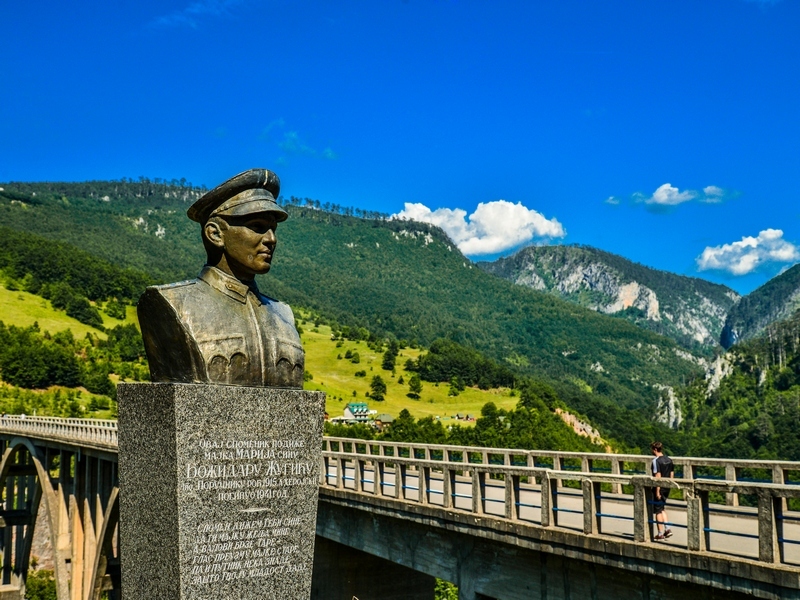 Passing by the towns of Kolasin and Mojkovac, along the Tara River, we continue towards the Durmitor massif. At Splaviste, the starting point of multi-day rafting trips, we are having an eco-picnic close to the turquoise water of the Tara River, featuring Montenegrin national specialties (smoked ham, goat cheese, sausages and wine). 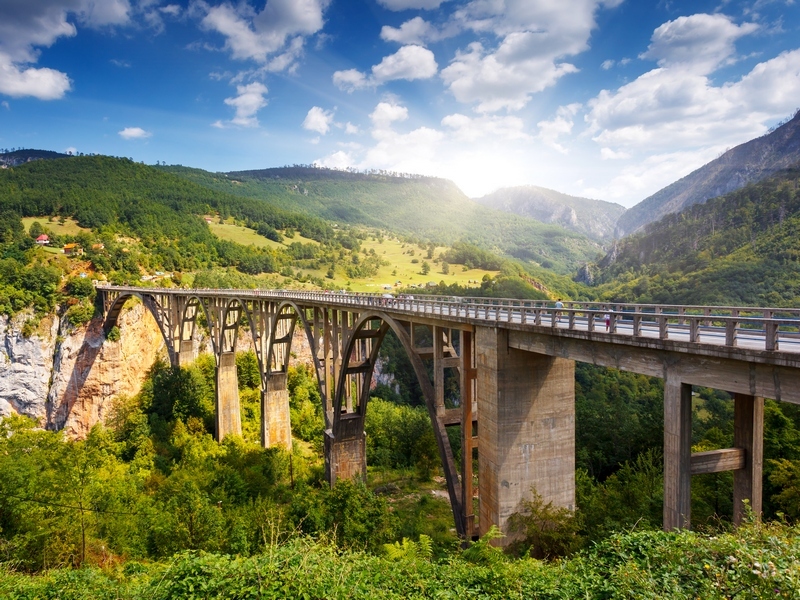 The highlight of the excursion is the view from the Djurdjevica Tara Bridge, one of Europe’s most beautiful bridges. 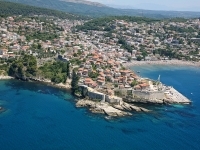 We depart early in the morning from your hotel, drive along the Riviera of Budva and its secluded beaches. We will stop above Sveti Stefan to take some photos of this unique small islet and hotel resort, former fisher village. 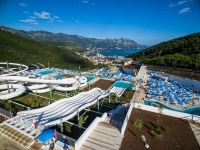 The resort was described as "a `70s Adriatic playground of the rich and famous on a hilly peninsula that`s barely connected to the mainland". Further along the coast to the central part of Montenegro, Zeta plain and Skadar lake- the biggest lake on the Balkan peninsula. We cross the bridge above the lake, surrounded by lavish vegetation, water lilies and reeds, little fisher villages. Road continues through the Zeta plain, fertile lowland in Montenegro, which stretches from the Skadar Lake in the south to Podgorica in the north. It is ideal for growing Mediterranean fruits and vegetables. Agriculture is the main source of income in this part of Montenegro. Podgorica, the capital of Montenegro, sits in a wide valley at the confluence of two rivers, the Moraca and the Ribnica. This city was constantly changing and growing. The Greeks, Illyrians, Romans, Goths, Huns, Slavs, Byzantines and the Ottomans- they all fought for the benefit of this region and left their traces all around. In the II World War Podgorica was bombarded more than 70 times and totally destroyed. In gratitude for the restoration of the city, it was called Titograd (Tito’s town), after the former Yugoslav president Josip Broz Tito. 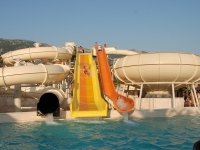 Nowadays Podgorica is the modern city, the administrative, political, economic and educational center of Montenegro. We will just take a gander at Podgorica and continue further to the Moraca canyon. After coffee brake only few kilometers after we exit the capital, the Moraca river will show us the way through its breathtaking canyon to the Moraca monastery. 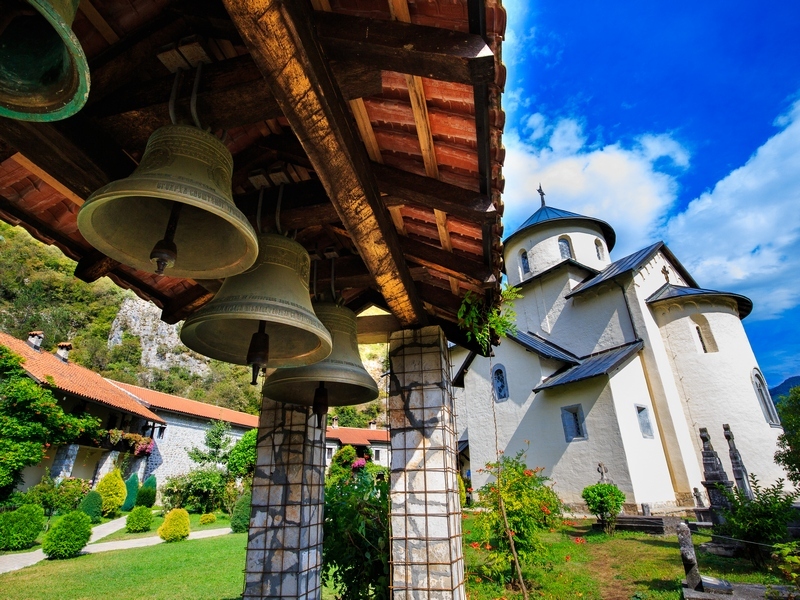 Moraca monastery was built in the 13th century on the right bank of the Moraca River. This is the great example of Serbian-orthodox sanctuary, endowment of the Serbian Dynasty Nemanjic. The monastery consists of two churches- the assembly church devoted to the Assumption of Mary and smaller one devoted to Saint Nicholas, as well as the lodgings. Inside this monastery complex one can feel the peacefulness and modest life of the priests. 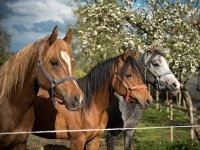 Montenegro with its unspoiled nature surely deserves the attribute “wild beauty”. 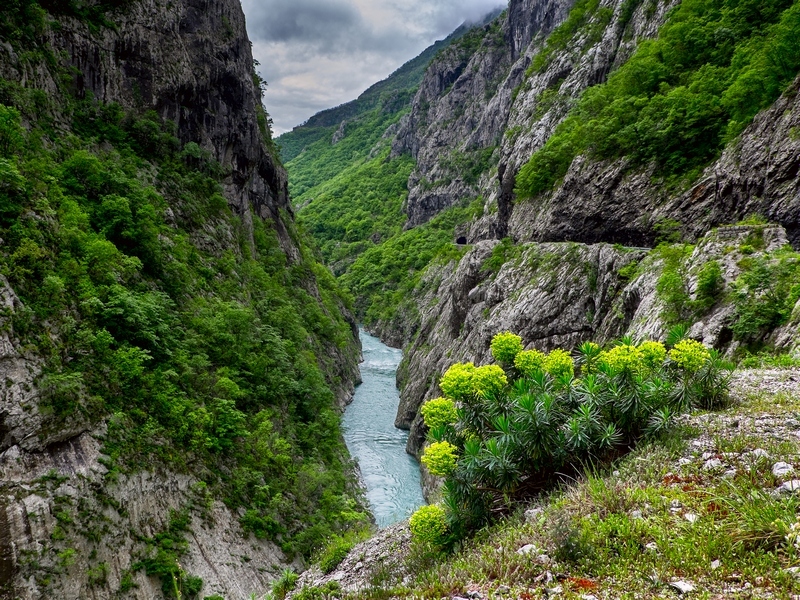 The longest river Tara and its stunning canyon are the heart of Montenegro. Rainforests and reserves of black pine trees are its lungs, numerous glacial lakes are the eyes of rocky mountains. 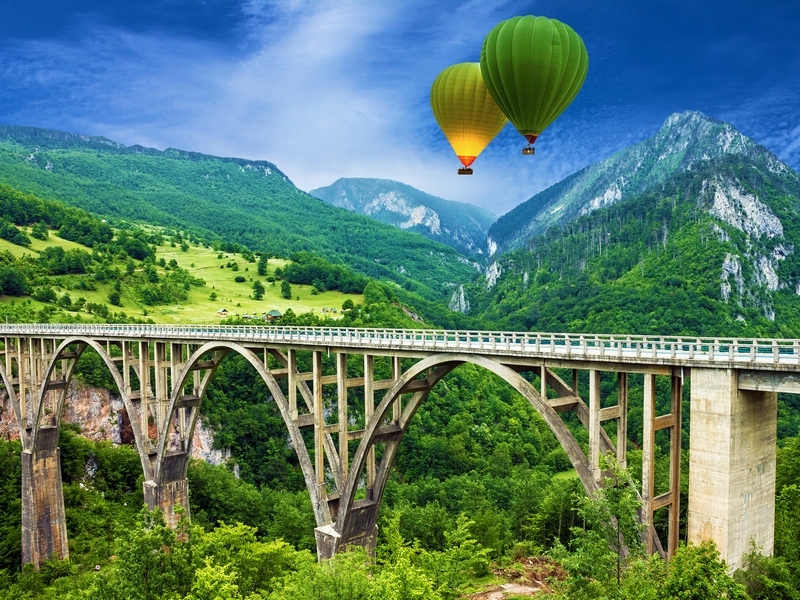 Passing by the towns of Kolasin and Mojkovac, we travel deep through the Tara River canyon towards the Durmitor massif. 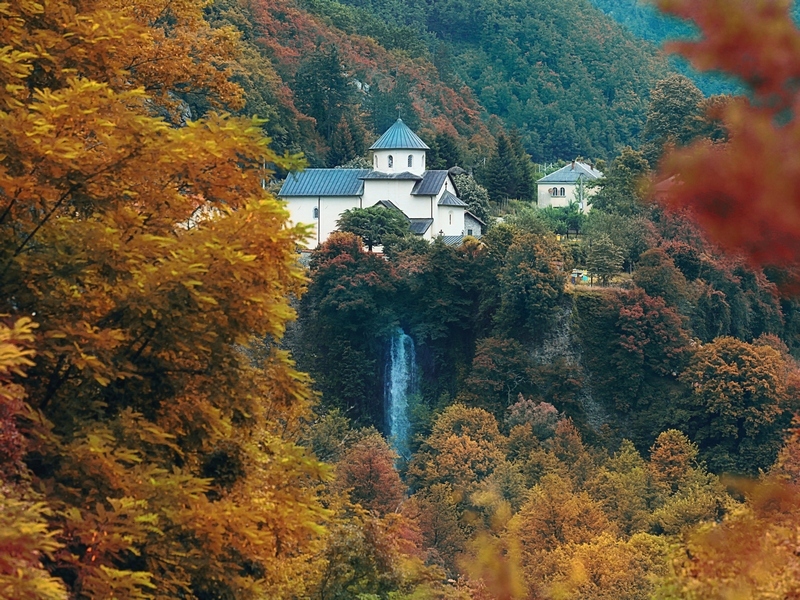 We follow the river and admire the deepest canyon in Europe, second deepest in the World. Due to its diverse flora and fauna, endemic species, high peaks, lakes and springs, Durmitor along with Tara canyon has been declared a National park. 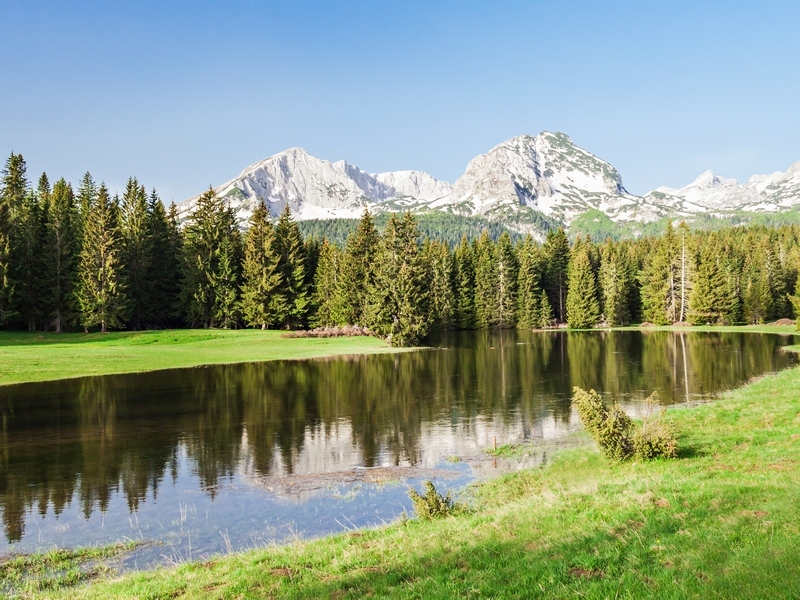 Since 1980 National park Durmitor has been placed under UNESCO’s protection and accepted as a World Heritage site. At ca. 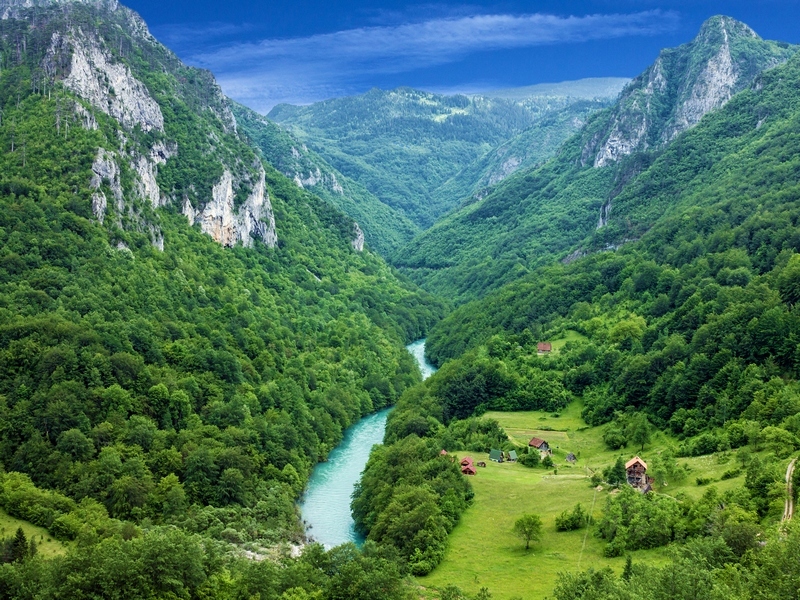 1 o’clock pm we are having an eco-picnic in a forest, close to the turquoise water of the Tara River, featuring Montenegrin national specialties: smoked ham, bacon, cheese, sausages, homemade corn bread, yoghurt, juice and wine. The highlight of the excursion is the view from the Djurdjevica Tara Bridge. You can take a walk or refresh in the nearby Café which offers you the magnificent view to the one of Europe’s most beautiful bridges. …and back into the sunset on the Montenegrin coast! 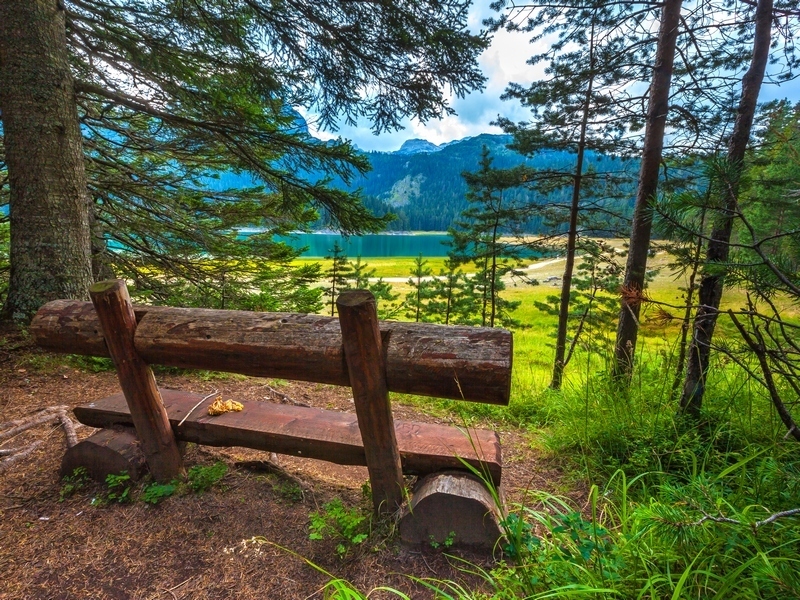 In order to show you more of the natural beauty of Montenegro, we have chosen the other way back, up to the forests and meadows of National park Durmitor, down to the town Niksic, further into the sunset on the Montenegrin coast.